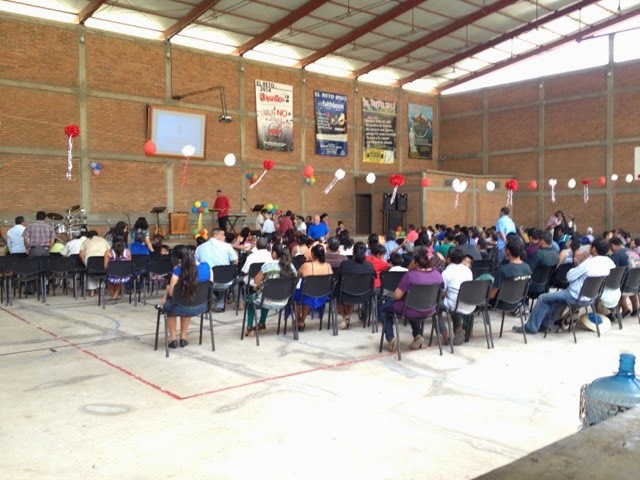 Over a year ago, we were invited to give a class on how to reach students by a pastor in Las Varas, Nayarit. This past weekend, six of us went to "show" them what has had huge success with us here in Cofradia where hundreds of youth have been exposed to the gospel and have participated in our Student Ministry's EL RETO. Pastor Luis, his daughter Carolina, his son Luis, Alfredo and myself along with my daughter, Rebecka put together a small mini-RETO for the students at Redeem Church in Las Varas. It was very impactful for all of us as we saw students excited about EL RETO and open to learn. EL RETO is mainly designed for reaching young people. However, during the event, all of us can learn something if we allow ourselves to "listen". Luis and Alfredo helped as coaches to the local captains from Las Varas. Both of them shared in church the next morning about how they learned to work together as a team. One shared from the point of view of being on the losing team, and the other shared from the point of view of being on the winning team. They were great testimonies of how God teaches us through EL RETO. I'm proud of Alfredo and Luis for helping and seeing something that God was speaking to them about. What caught my attention most was the dynamic of one team who started really strong, but lost most of the activities...it seemed like everything went wrong for them. One game after the next, they lost. In the end, they ended up with minus points! This is something that can happen, and probably has happened, to all of us. When we feel like the world is against us. Things don't always go the way we've planned them. And, "When it rains, it pours" is a common phrase that many of us claim when so many things aren't going "right." But, this is something that we can look at and say, "What are you teaching me, Lord?" I can remember some instances of things happening last year that surprised me. It seemed like every time something got "fixed", something else would happen and we would end up focused on "fixing" that problem. I think ultimately, God wants us to trust in Him in all things. He is faithful and will continue to be faithful. His love endures forever. So, when things aren't going the way we've planned, we can trust in Him that He knows His plan. When we submit to His Will, we only come out winners--even if we loose in a simple, yet complex, EL RETO game. Are you facing a hard time right now? Are things not going "your" way? The most simple answer is to put your trust in Jesus and know that He loves you and cares for you. He will make a way where there seems to be nothing. If you haven't, you can ask Him for forgiveness of your sins and invite Him to be Lord of your life. He has already won the victory over evil. We can only win with Him! Close to 200 people came out to celebrate four years of being in the new church building. We worshipped together, Pastor Goyo shared a very appropriate message called “Jesus, the Name Above All Names.” Three people came forward to make Jesus Christ Lord of their life and many others followed. Each year we have a free time that allows members to share a song, drama, or a testimony. We had a number of participants this year and we had a great time followed by a great meal together! Why do we celebrate? Four years ago we inaugurated the new building for Centro Cristiano Cofradia after meeting for over a decade and a half at the Mission Base Compound. What a testimony to God’s Faithfulness! On this day, we recognize the hundreds of people who have come down to minister through short-term missions as they helped lay a foundation for this ministry. Many people have been saved, refreshed, encouraged, and blessed by relationships that have been developed. We think of all the teams and individuals who have come to work on all kinds of construction projects, even those who had the opportunity to help build the church. Finally, we are very grateful for all who have given sacrificially to the work here. When we all work together, we can do great things in God’s Kingdom. So, a big THANK YOU to you all who have prayed and given so much of your time and finances. 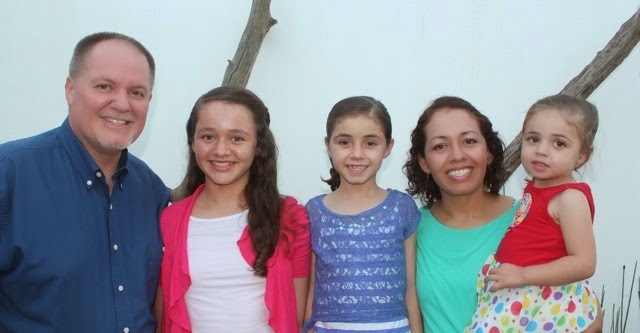 Through Christ, you have helped make Centro Cristiano Cofradia a reality. We love you all! Greetings from Cofradia, Mexico! 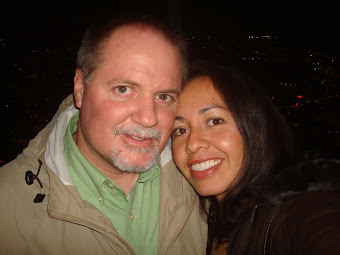 Just a couple of weeks ago I shared with you our last update in which I mentioned our annual Valentine’s Day Date Night for married couples and links to a couple of small reports on Short-term mission teams from Texas and Washington. Church Anniversary. We will be celebrating our 4th year in the new building this Sunday. It’s always a great time to look back and consider the faithfulness of our Lord. Bible School. Tonight we finish our Winter Quarter with 17 students. It has been very informative and the discussions we have at the end are very thought-provoking as they challenge us to grow. The students will be spending this next week working on their final exams. Thank you for your prayers for them and me as I grade them. Music Ministry (Worship). God is continuing to work, please keep this in prayer. Pastor’s Perspectives: Click here to read reports from three of our Pastors. Church Anniversary. Thank you for your prayers throughout the years for this church and the continued growth in Dischipleship and Leadership (Anniversary Date: February 27; To be celebrated on March 8). Bible School Students. Again, thank you for your prayers for them and me as I grade their exams. EL RETO Mission: Las Varas. Pastor Luis and I along with four students (including our daughter Rebecka) will be training a church in Las Varas, Nayarit on how to work with youth on March 14. We’ll be executing a mini-RETO as well as coaching their leaders about their needs. I will be sharing from Nehemiah with the congregation the next morning about Leadership. We are really looking forward to this as the Lord continues to open doors for us to minister to people and churches in this region and state. Music Ministry (Worship). The main Worship Leader who has been helping me will be leaving after the 15th of March to the United States to work as a Contracted Laborer; He will be gone until next December. Please pray for the continued growth in the locals as we develop this ministry. Bookkeeping. I am way behind with the mission’s bookkeeping. Pray that the Lord would help me see windows of time in order to update everything. I love to do bookkeeping, but haven’t been able to get caught up. The Mission in Cofradia. We will be experiencing some changes this year and would really appreciate your prayers for wisdom, discernment, and patience. Pray that the Lord would guide us to the right people to talk with concerning these changes. Mexican Civil Association. We are still working on making this happen. Pray for guidance as we move forward to establish the mission in Mexico.